EQUALITY for Peace and Democracy has established its networks in fifteen provinces consisted of 30 volunteers working for women empowerment, removing VAW and ensuring women’s peace and security. The PWN members advocate and lobby in their provinces for VAW victims and protect other women by raising awareness and increasing their capacity. 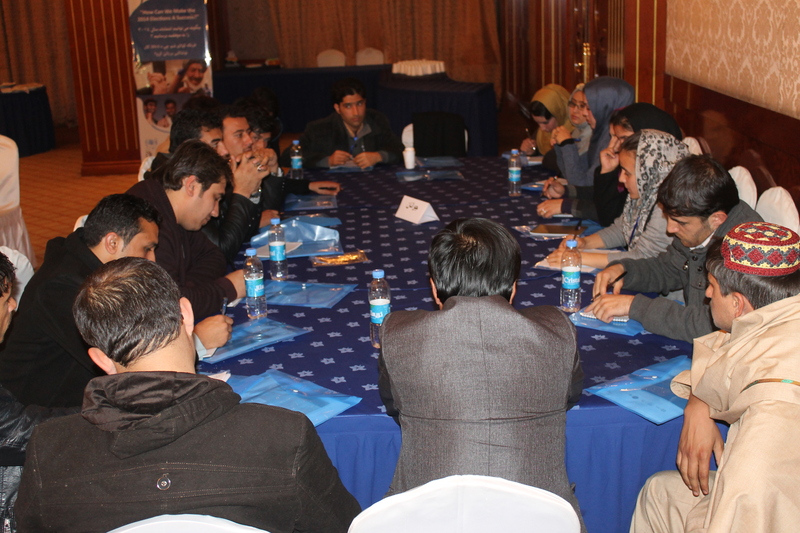 Each quarter, the provincial coordinators are invited in the Kabul to share their networks’ experiences particularly regarding advocacy and lobby. 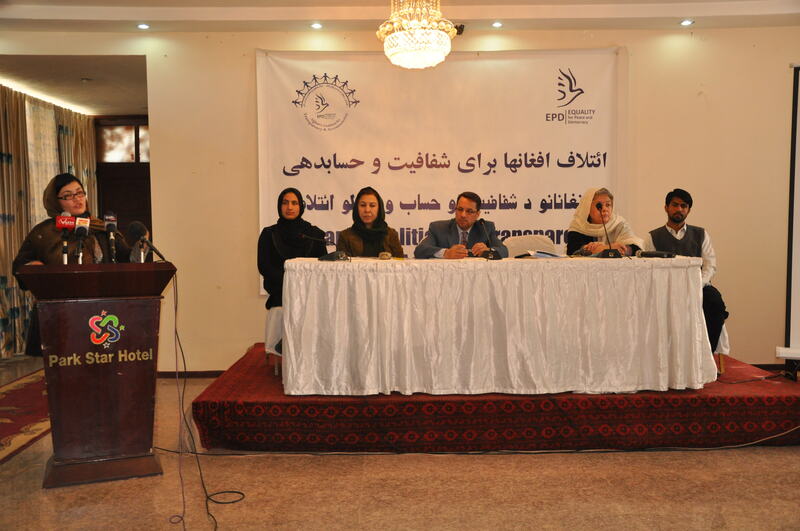 From 22th to 24th October 2017, EQUALITY for Peace and Democracy conducted itsquarterly meeting in Kabul with PWN coordinators from 15 provinces of Afghanistan. Across three days, the participants exchanged ideas, share experiences and discuss about challenges that they have faced during their advocacies in the past quarter. The first day of the event started with a speech of Mr. Wajid Khan, EPD’s Executive Director. He introduce the new program manager of EPD Ms.Sheima Zikria to the provincial coordinators. Also he added that EPD’s coverage area has been extended to 18 provinces which opens the gates to reach out to more women in risk of violence and implementing more volunteer work. The event continued with the presentation of provincial coordinators. They shared their achievements and challenges that they had in the past quarter. 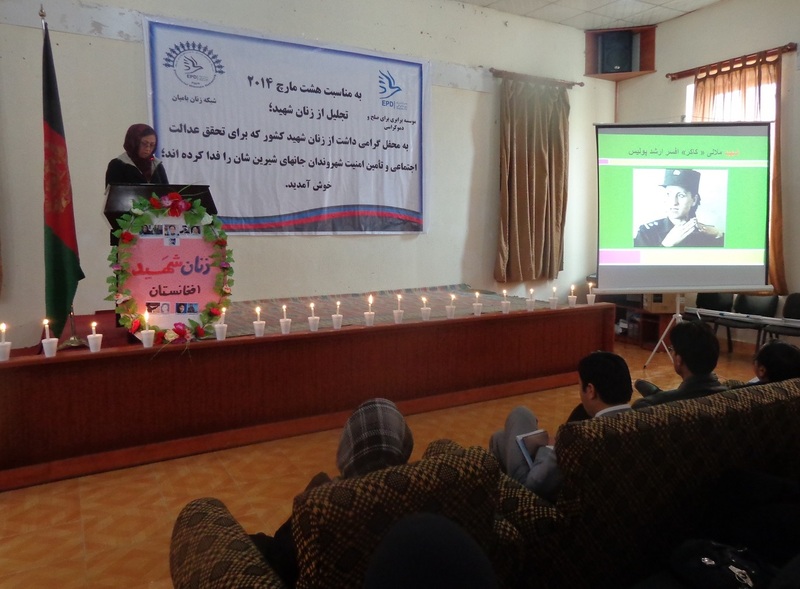 Besides conducting three rounds of In her shoes workshop, documentary screening for a wide spectrum of the society and monthly meetings with member, the PWNs’ monumental activity was systematic advocacy and lobby based on systematic strategies developed to eliminate problems threatening women’s peace and social inclusion. . The advocacy strategies were prepared in the last quarterly meeting, and accordingly they followed them which led to notable successes. During the past quarter, PWNs in Badakhshan, Kandahar, Helmand and Paktia advocated for reducing improper custom and high expenses of wedding parties through awareness raising and engaging religious leaders. Coordinator of Paktia attempt to prepare resolutions by the help of community elders and religious leaders to ban improper custom. 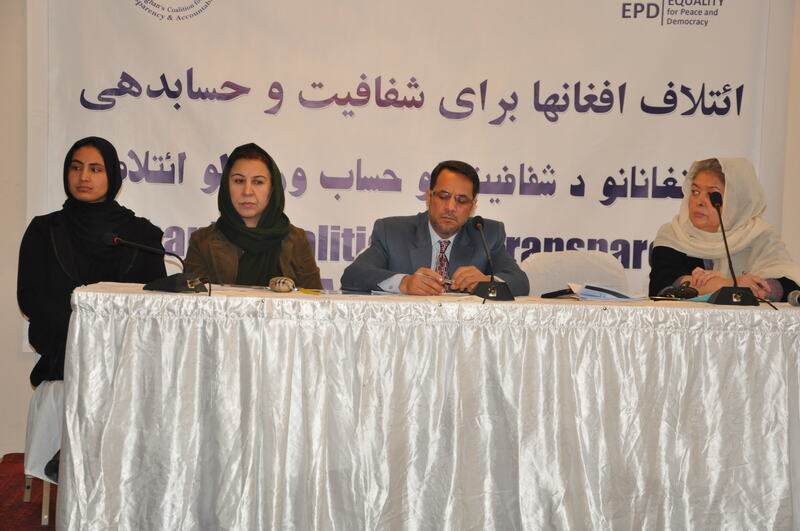 Kabul, Kunduz, Faryab, and Nangarhar PWNs advocated for increasing women’s representation in the governmental offices and women recruitment. To address this issue, they approached Independent Administrative Reforms and Civil Service Commission and attempted to rasie awareness. Some provinces advocate for violence against women, e.g.Daykundi PWN advocated for domestic violence, Bamyan advocate for decreasing high rate of suicide attempts among women through awareness raising with community elders and engaging religious leaders. 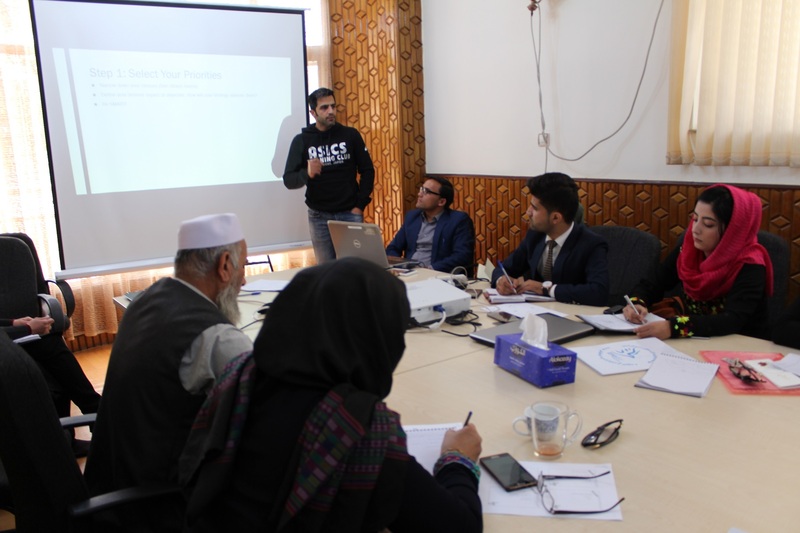 BalkhPWN worked for countering women harassment among female staff of the police sector, Laghman and Parwan PWNs advocated for decreasing high rates of physical violence through awareness raising on women’s rights and prohibition of physical violence by involving religious leaders. 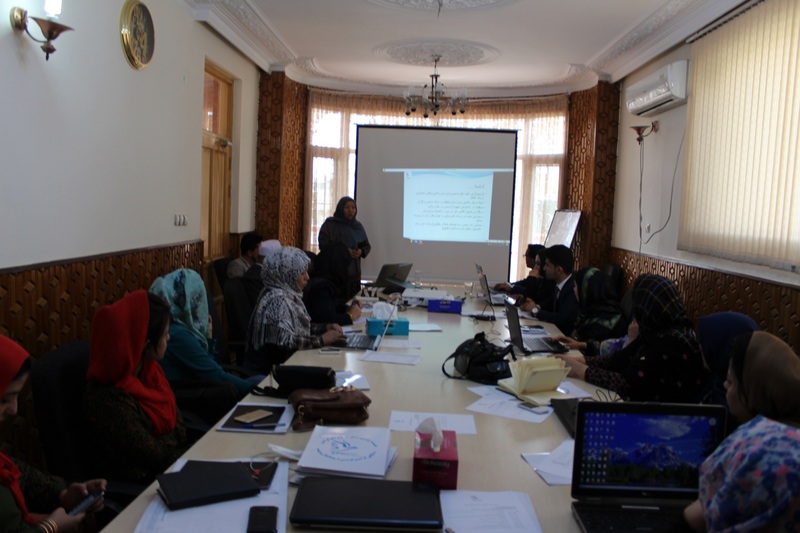 Herat advocated for IDPs, and they establishing skill training for IDPs women. Urzugan advocated for decreasing high rate of illiteracy among women at grass-root level, so they established courses for illiterate women in the different area of Urzgan provinces. The 2nd day of the event covered a presentation on “Advocacy tools and methods and steps in preparing advocacy strategies” for the provincial coordinators. The sole purpose of this presentation was to equip the provincial coordinators with basic method and tools of advocacy, advocacy strategy and developing advocacy reports. 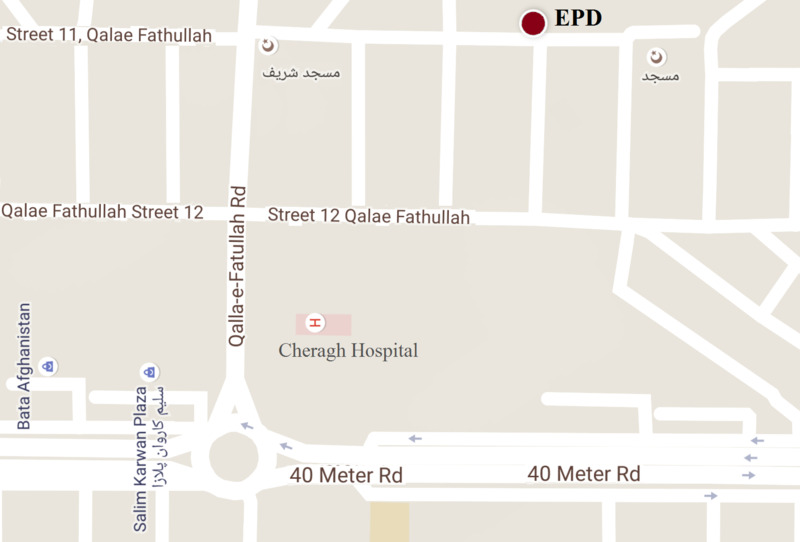 This presentation was delivered by Mr. Khalid Siddiqi, Technical advisor at EPD. In the 3rd day of event provincial coordinators discussed about their problems and requirements and shared their problems with the main office. 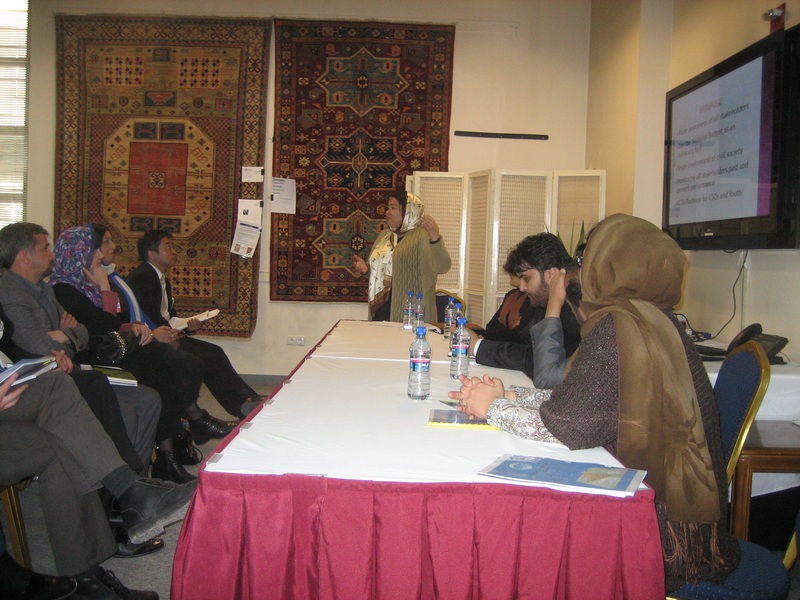 The next session of event was led by Ms. Nasima Omari, the representative of Cordiad . She emphasized that the networks should be empowered to ensure sustainability and remain motivated to continue volunteer activities. Following this, Ms. Farzana Doosti, EPD’s Research and Monitoring Officer reviewed the advocacy reports and advocacy strategies of all provinces, shared her comments on their reports and corrected the mistakes in their advocacy reports and updated their advocacy strategies based on the challenges that the coordinators had faced during implementation. 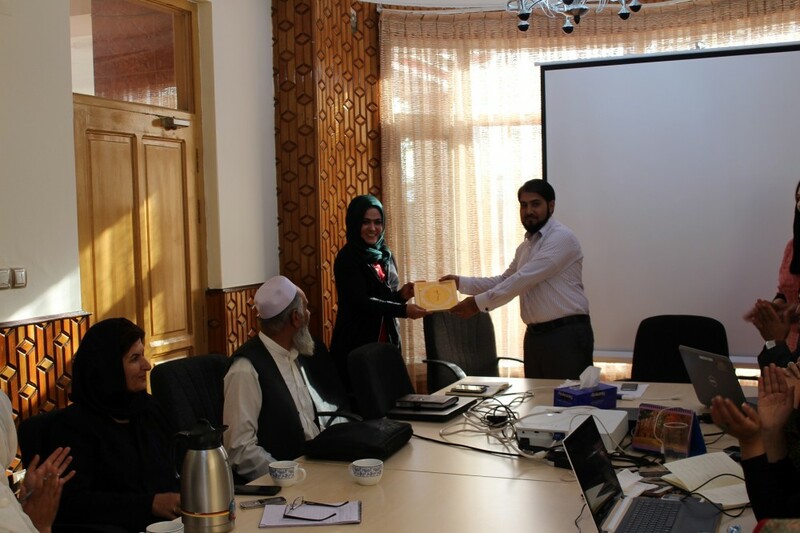 The meeting was concluded by distribution of appreciation letters to coordinators of Badakhshan, Faryab and Uruzgan in recognition of their tireless efforts in outreach and advocacy.